One of my wildest garden to table dreams came true. Glass Gem heirloom corn seeds are growing! We grew a package of Glass Gem corn from Native Seeds out of New Mexico – and the harvest was a kaleidoscope, a celebration of awe. For me, it was an experience that seemed to draw back into time. Deep into history – a primal memory of corn. Sitting on the floor in December, after the ears had dried and the kernels hardened, it truly felt like I had done this before. As the mound of kernels grew, I was thrilled. 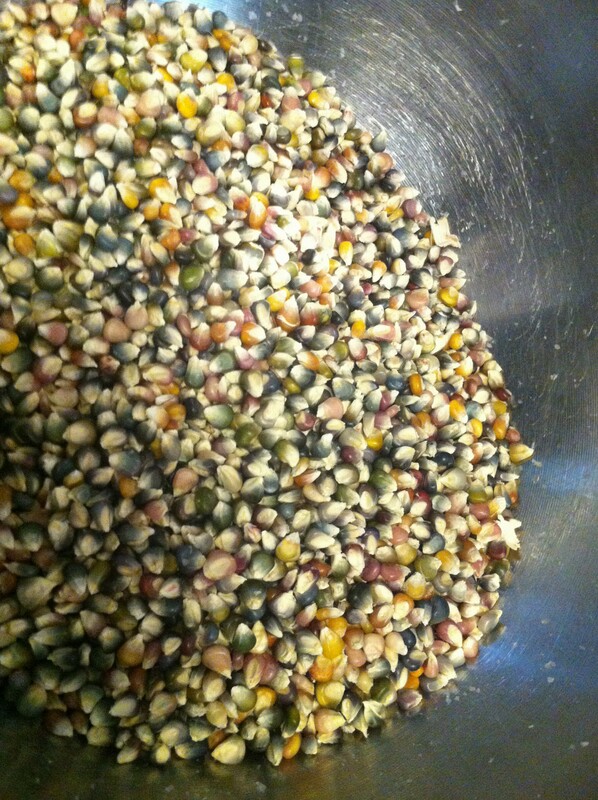 Ready for grinding – I felt like a proud mama when the first cornmeal burst forth. With the oven lit, batter stirred, cast iron muffin pans filled, we waited. And then tasted. It was nutty, and rich – with a depth to the flavor that was unlike any cornbread I have tasted. Pure joy! And if you’re like me, enjoying growing your own food and making the most of your harvest, you understand. Preheat oven to 425 degrees. Whisk together dry ingredients. Make well in center and add rest of ingredients. Stir until just blended. Pour into buttered muffin pans. 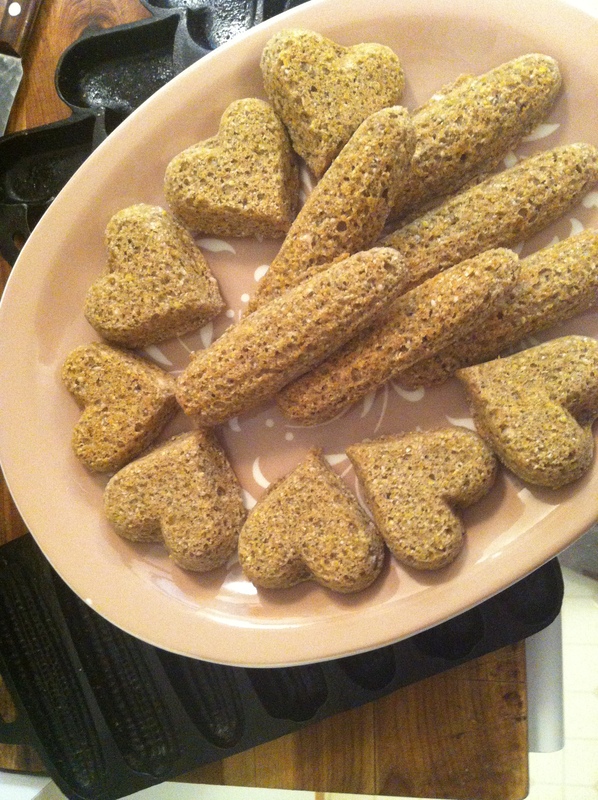 Bake 20 to 24 minutes, until cornbread is lightly browned. Allow to cool for a couple of minutes before turning out. And set out a “spirit plate” – with some bread and a blessing, if you wish. 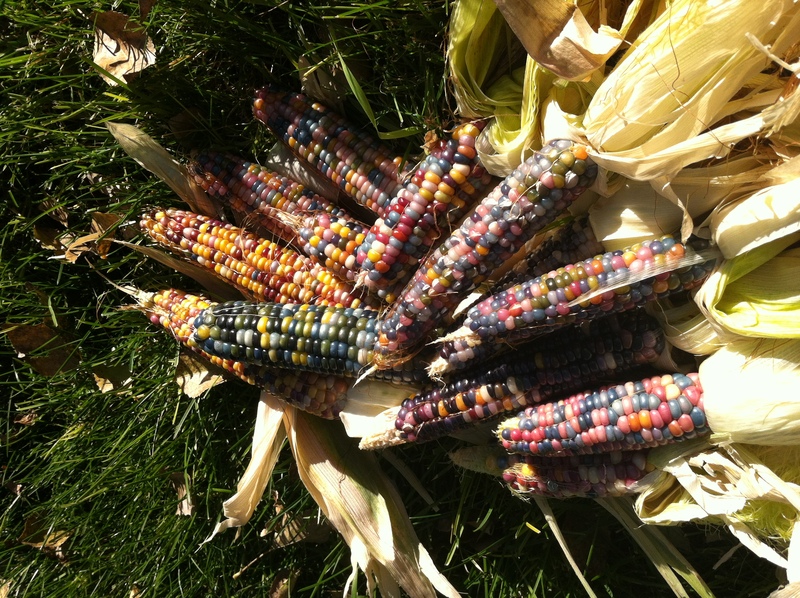 To find out more about this amazing heirloom corn, please visit http://www.nativeseeds.org/community/199-the-story-of-glass-gem-corn-beauty-history-and-hope. 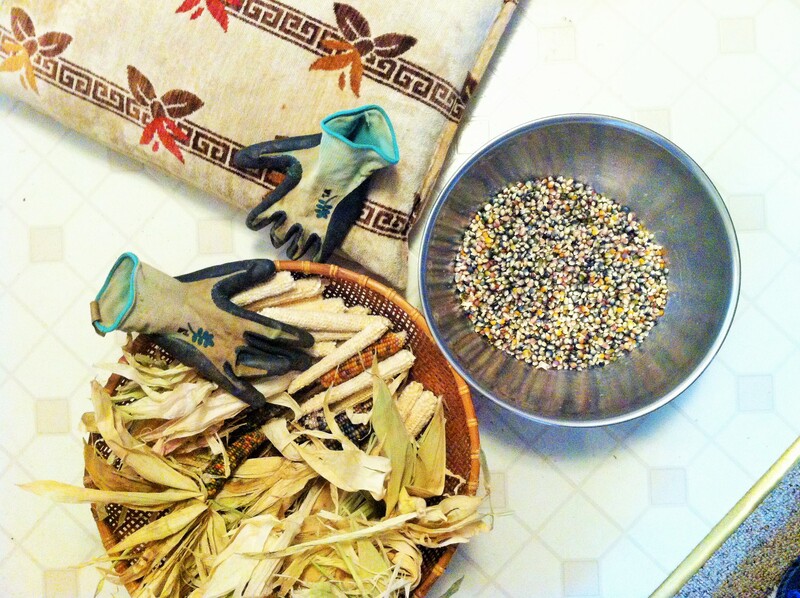 Thank you Audrey – yes, this heirloom corn is a beautiful gift! I have a half gallon jar I need to grind for more cornmeal. Can’t wait to try Indian pudding, and polenta using it. I am currently making my first attempt at growing glass gem corn any tips or suggestions for a good harvest? I live outside of Phoenix AZ. Corn is a very thirsty plant, and the glass gem corn followed that faithfully. We could almost SEE the corn growing after it was watered. Our small crop grew INCREDIBLY tall – we actually roped it off and supported it with wire fencing as the ears developed. Keeping it safe from marauding squirrels and raccoons if they live around you – in northern Colorado we had them to contend with. It was all worth it when the ears were ripe – our eyes were absolutely dazzled. Are you growing a lot? Best wishes on your crop!